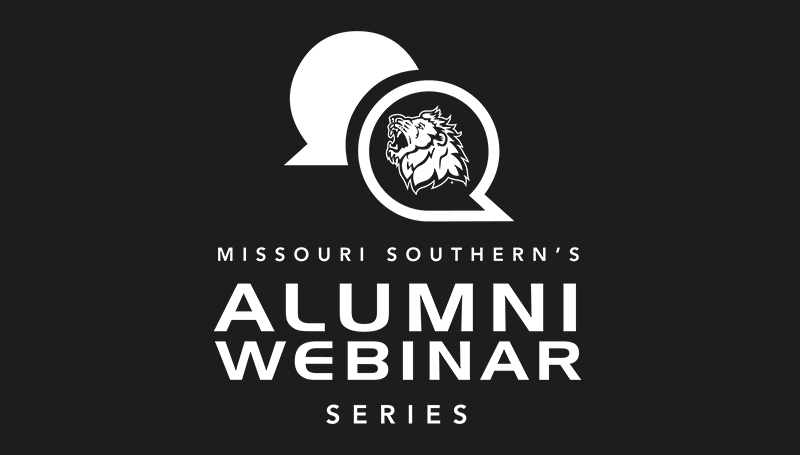 The Alumni Association has developed a new way to reach out to and serve Missouri Southern’s valued alumni from the comfort of – well, anywhere. A new webinar series will begin with “Financial Wellness for Young Alums (and the not-so-young alum)” at noon Wednesday, Sept. 26. It will be presented by Lane Clevenger, ’03, of Clevenger Financial. Meagan Adams, assistant alumni director, says the series is a way to reach out to alumni who may not able to visit campus for events. “Throughout the year, we plan to offer a variety of topics for all generations of alumni giving them a new, convenient source of information,” she says. “This will let them stay connected to their university while gaining invaluable information on subjects that interest them.” To join, just click here, follow the installation instructions for your device, then log in.